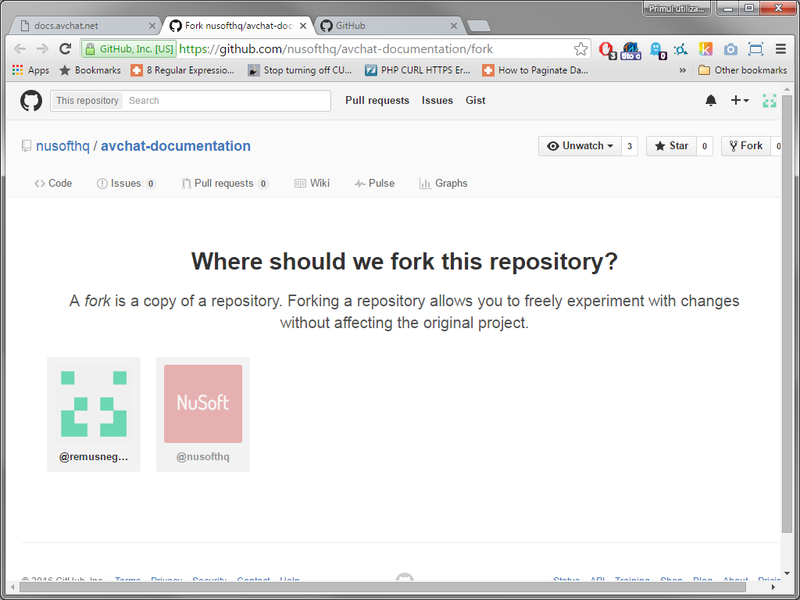 First thing you will need to do is create a GitHub account in case you don’t have one. Follow the steps and complete the sign up form as on any other site. In the bottom of any page from the documentation, you will see the Fork button. 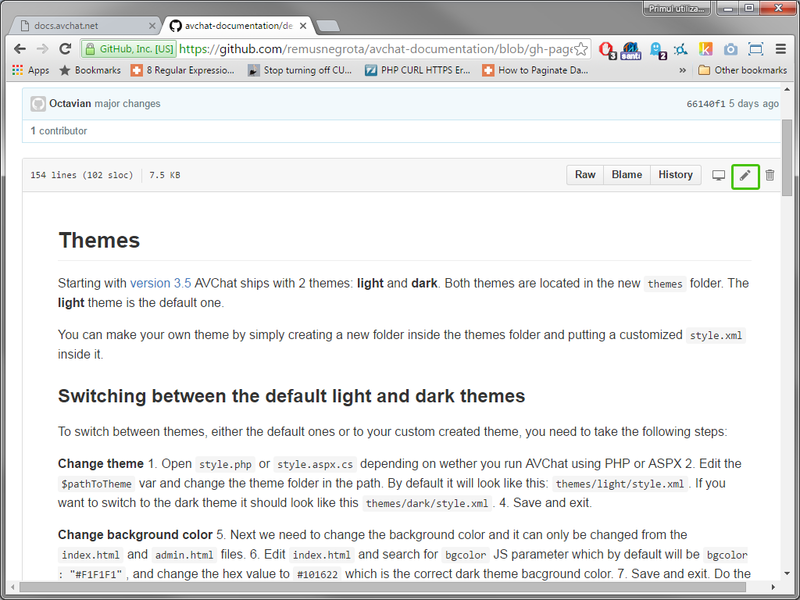 Click on it and you will be taken into your GitHub account or asked to sign up first if you are not already. The AVChat Standalone files are located inside the _includes folder and are named after every major chapter i.e. design.md, features.md, etc. 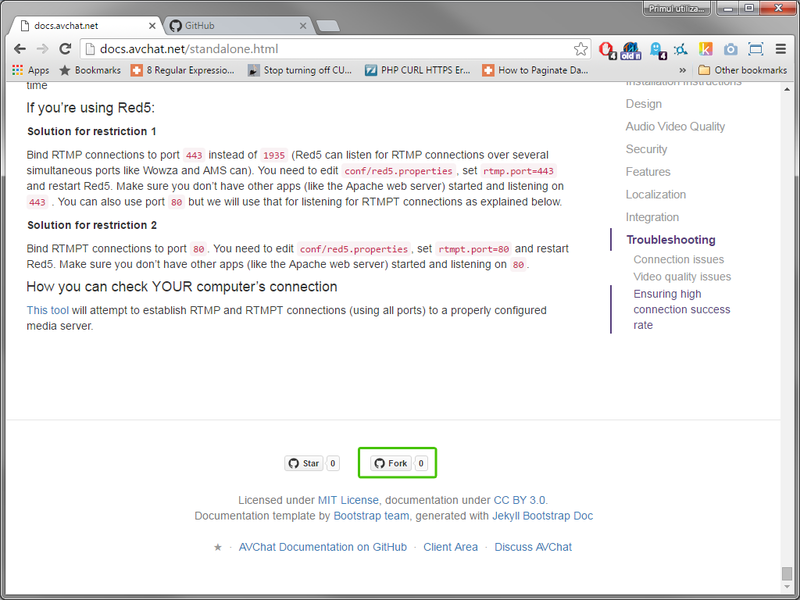 The AVChat integration files are located in the root of the repo and are named after the integration i.e. 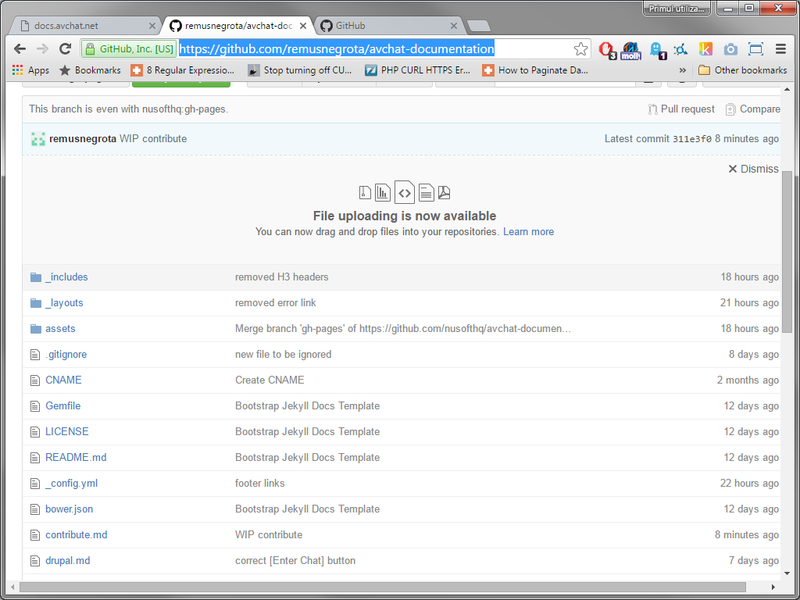 drupal.md, joomla-3.md, etc. The file will open inside the browser. For this tutorial I’ve opened up design.md. Click on the Edit button showed in the image above. Now you can edit any part of the file writing in Markdown (it is very simple, you can learn it by example with what is already written). 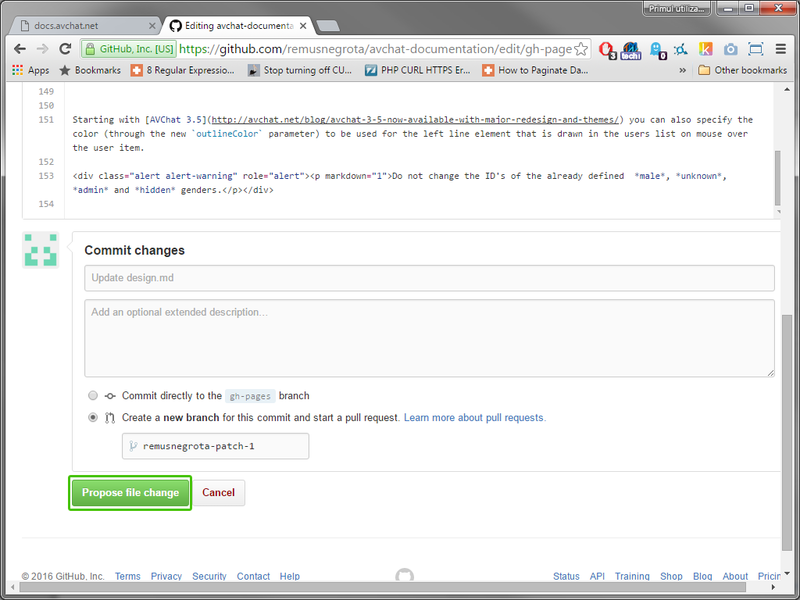 Select Create a new branch for this commit and start a pull request. We will be notified that a new pull request exists and after reviewing it we will accept the change and will be viewable in the main documentation.